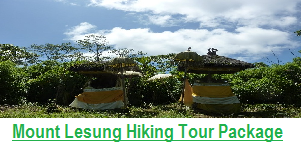 The truly challenging activity of camping at Agung active Volcano in Bali Tropical Island is one of the best adventure trips throughout Bali. 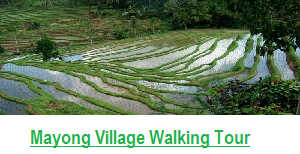 This exciting activity can be one of the best options for you to get away from hustle and bustle of crowded tourism in Bali. 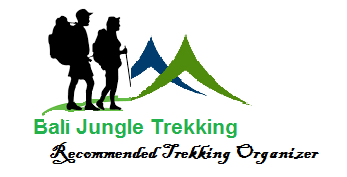 However, this exciting adventure needs very fit conditions for those who love challenging adventure. Camping in Bali would be very well-known holiday type which is a combination of undergoing adventure and enjoying relaxed time in the truly beautiful nature of the tropical paradise with its exotic setting and cool weather. The Camping activity itself might seem to be as a popular activity in the pastime for travelers who love natural beauty. They seem to be fond of going back to nature. These types of travelers usually utilize campsites to flee from the everyday activities to enable to be very close to one another and live outdoors in the intimate nature. 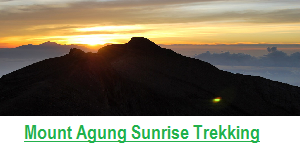 The truly best site for Bali Camping and Hiking Trails activity in Bali island is Agung active volcano Camping. This camping spot is located on the summit and the middle part of Agung active volcano which is sort of on the slope of this active volcano which constitutes the highest land of Bali. This volcano itself is situated on the western part of Karangasem regency which is one of the 9 regencies in Bali province. Bali province is one of the 32 provinces of Indonesia Archipelago nation. 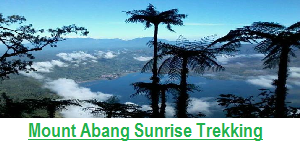 Actually, there are two spots for this camping package; they are Kori Agung on the slope part and the summit spot on the peak of Agung active volcano. 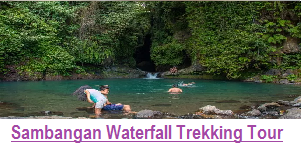 Most of our customers tend to take the option of Kori Agung for camping on the basis of its strategic location that can be reached more easily. Agung active volcano Camping gives you sort of “back to basic” experience in which every need is picked up from the nature of this tropical paradise. In this way, this exciting activity guarantees that you are going to obtain a memorable adventure experience for your enjoyable stay in Bali Tropical Island. Well, now let us see the tour itinerary of this tour package. 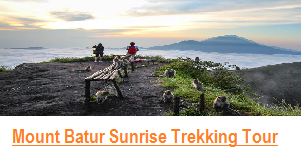 Bali Camping and Hiking Trails activity at Agung active volcano could be carried out within a couple of days and a single night. We are going to give you the basic needs and you just need to bring your little luggage for your personal things. For the access path, there are two alternatives to reach these camping sites. They are either via Pasar Agung or Besakih Temple. The tour itinerary is up to your interest. However, we recommend you to choose a couple of days and one night tour.